This course, which I’ve heard called “an oldie but a goodie,” opened in 1968 and was one of the first golf courses this far north to plant zoysia grass, which I’m told provides the best playing conditions during the hot summer months. Pat likes this traditional style, award-winning course with sloping terrain and well-established trees lining the fairways. 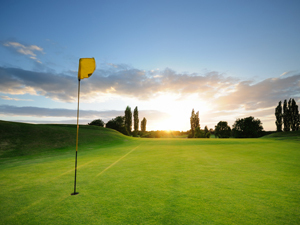 With large greens, it’s a good course for both experienced golfers and beginners like me. Even so, I wonder how many shots it will take me to make it over the pond to the elevated green on Hole #18. One of Pat’s top choices for a day of golfing, this course in the beautiful rolling sand hills is very challenging because of its design as well as Mother Nature. The prevailing south wind typically blows at 10 to 20 miles per hour on any given day here in western Kansas, and it’s a sure bet you’ll be hitting into the wind on some holes. I’ll probably end up in the native rough. Hole #17 is a par 3 where you must hit the ball 100 feet uphill to the green from the tee box. 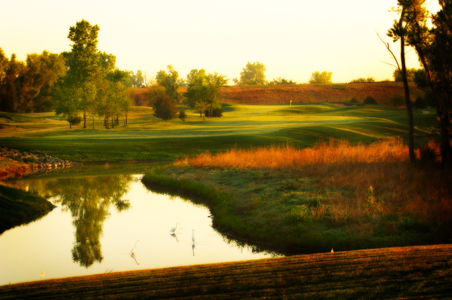 Judy and Pat both favor this beautiful links-styled course in the Flint Hills, where views from the tee boxes feature rolling pastures and the city of Manhattan. 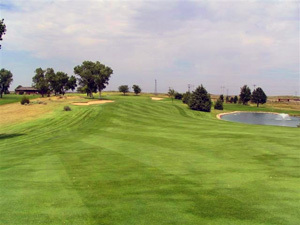 Both say it is a unique and challenging course, but extremely fun to play with 91 sand bunkers, two ponds, a number of creeks, and tall native grass outside the fairways. I’ve also heard it’s one on which you most likely will need nearly every club in your bag. As a K-Stater, I can’t wait to see the wildcat paw-shaped bunker with purple sand on Hole #5, a par 3. I’m just hoping my ball doesn’t land there. In recommending this as a good place for a beginner like me with its wide open fairways and fast and smooth greens, Judy says this municipal golf course is fun to walk and affordable; afterall, the philosophy here is “great golf accessible to all.” It can be a challenge, though, with a demanding par 5 on Hole #18 that features a Church Pew bunker stretching 75 yards in length. Recent improvements include a walking bridge over a new creek meandering through Founders Corner that includes Holes 10, 11 and 12. In the Flint Hills, this course’s rolling terrain and zoysia grass fairways make for a pretty and fun course to play, although it can be quite a challenge especially if you’re like me and end up in the rough occasionally. Hole #3 is one of the toughest holes in the area at a par 4. 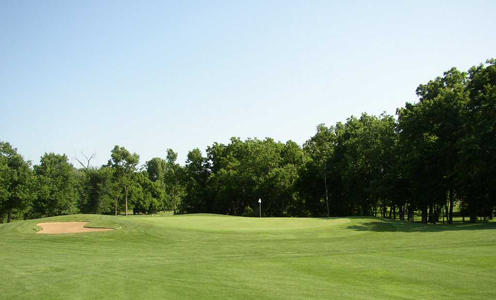 Unable to see the hole from the tee, you will face a creek that runs through the fairway and along the left while sand, trees and native grass create hazards on the right. Oh, and did I mention the landing is relatively small? Near Milford Lake and bordered by a river on one side, this course offers a tranquil setting where you might spot wildlife. Recent improvements allow the course to be more visually pleasing when standing on the tee boxes. The course is a challenge with tree-lined fairways, 29 sand bunkers and six lakes, yet Judy thinks a novice golfer like me still can feel good about my score. I foresee the pond in front of the green on the #10 Hole, a par 5, to be a challenge for me. 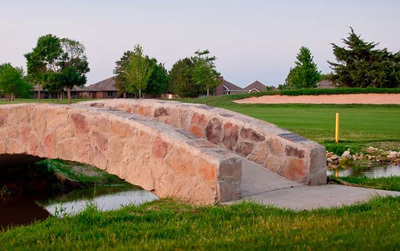 This links-style course plays on the town’s railroad history, with train tracks running alongside the fairway reminiscent of the courses alongside railways in Scotland and in early America. 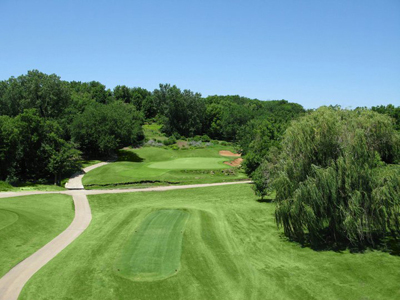 Hole #10, aptly called “The Beast,” is a par 5 and proclaims to be the longest hole in the state of Kansas. Judy says it’s one of the more challenging holes she’s played. The green on Hole #16 is a full replication of the famous “Road Hole” green at St. Andrews.Do you know a public course I should add to my bucket list?